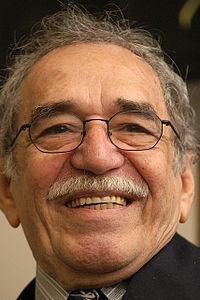 Gabriel Garcia Marquez was born March 6th 1927 in Aracataca, Columbia. He was considered one of the most significant authors of the 20th century, and in 1982 he earned the Noble Peace Prize in Literature. He left law school for a career in journalism. He married and had two sons. His works are acclaimed as magic realism, and he often uses his birth place Aracataca as a setting in his stories. His most acclaimed works are "100 Years in Solitude", "The Autumn of the Patriarch" and "Love in the Time of Cholera". In Argentina he was affectionately known as Gabo, and when he died he was referred to as the greatest Columbian who ever lived.